Not many people equate Paris with a healthy weekend, but let me tell you, those French women know how to look after themselves. I lived in Paris for six months, and every Sunday without fail I would visit a hammam (Turkish bath), which was full of ladies of all shapes, sizes and ages – mums and daughters, grandmothers, friends, women on their own lost in their thoughts. It would become my ritual cleansing and pampering day. It’s a shame we don’t have as many here – apparently there used to be 600 hammams in Britain, and only 14 remain. I like the way they allow you to cleanse yourself of your week’s woes, contemplate life, and get ready to start afresh on Monday morning. 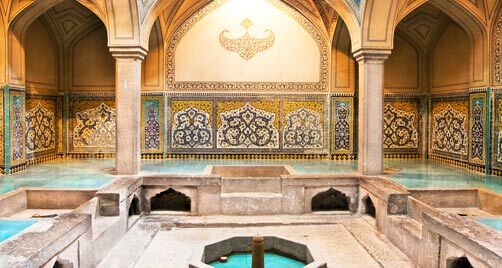 Hammams are a little-known treat in the city of lights. There are literally dozens of them dotted around, thanks to the large North African and Turkish population that have settled there. They vary not only in size, but also price and practice and the days on which men and women are allowed to visit. Some of the more authentic ones can be found on the outskirts of the city, at St Denis, for example. But there’s also a brilliant little one in the Marais, and the better known La Grande Mosquée de Paris. Most charge around €40 for the day, including a little tablet of savon noir (black soap), and possibly a massage or gommage (a scrub by a lady wearing a glove, who will lie you down on the wet tiles and exfoliate you to within an inch of your life before dousing you with cold water from a bucket until your skin is lying around you like papier mâché – actually a very satisfying sight). Now, it has to be said that at a hammam there is no messing about. You’re expected to know what you’re doing, and you’re expected to get naked if the situation calls for it. This is no time for prudes or pansies. Each hammam has its own etiquette with regards swimwear (on or off or half-off), footwear (some make you wear flip-flops) and talking and ordering mint tea and Turkish pastries and all sorts. Half the fun is feeling like you’ve entered a parallel universe and working the whole thing out. But it is definitely worth it. Go forth and get cleansed! Bon chance! Where to stay: The Mandarin Oriental is one of my favourite hotels, and has a beautiful spa. Book here for the best rates. There is certainly a great deal to know about this issue. I like all the points you’ve made.